Here are a few pictures from my weekend. 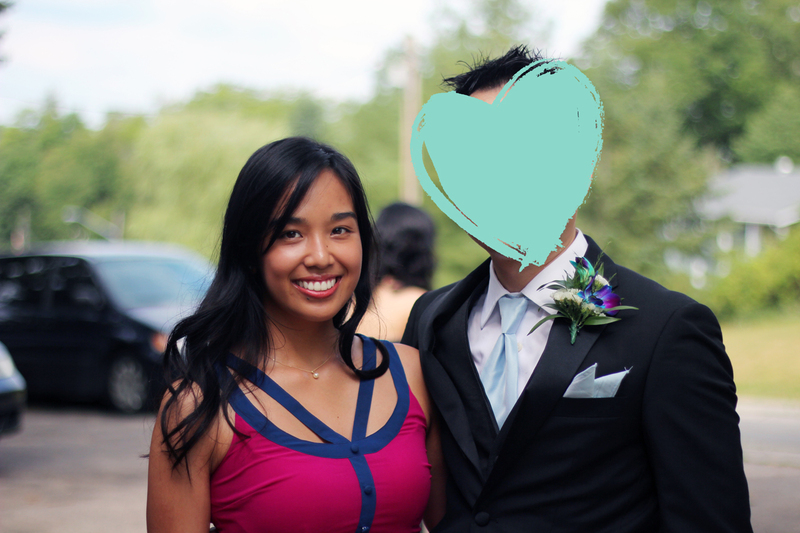 I was at a wedding for a friend and my date was one of the groomsmen. The wedding was in Cambridge and it was a lot of fun. The weather turned out beautiful despite promises of rain by the Weather Network. 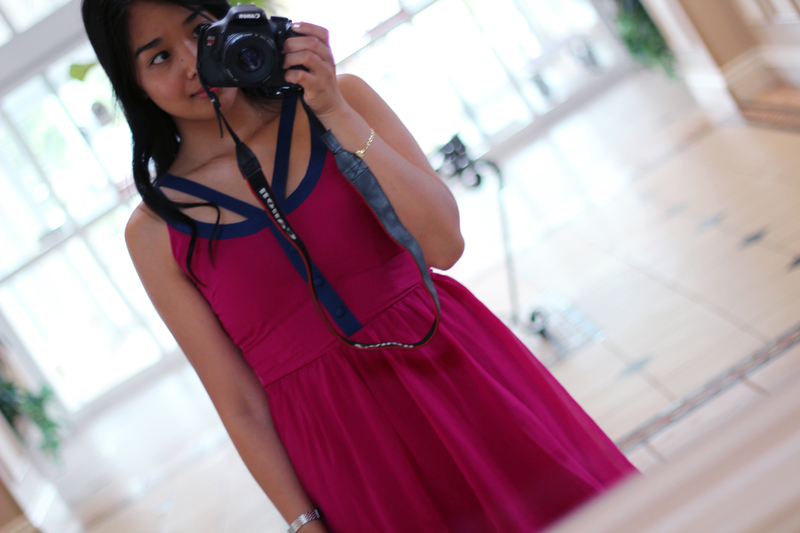 Here's a little peek at my dress. I wore it to the ceremony and reception. No costume changes this time. I did switch up my shoes though. I wore heels to the ceremony but opted for a trusty pair of TB flats to the reception. Ceremony - Stila Perfecting Concealer (for blemishes), Garnier Roller (undereyes), Dior bronzer, MAC Blushbaby, Lancome blush higlighter, Lancome Hypnose Doll Lashes, and YSL Glossy Stain #7. Reception - Stila Perfecting Concealer (for blemishes), Garnier Roller (undereyes), Dior bronzer, MAC Blushbaby, Lancome blush highlighter, Lancome Hypnose Doll Lashes, Lancome Art Liner, and YSL Glossy Stain #15. Not too many foodie shots this time. My hunger won over my patience. Here are some dessert pictures though. 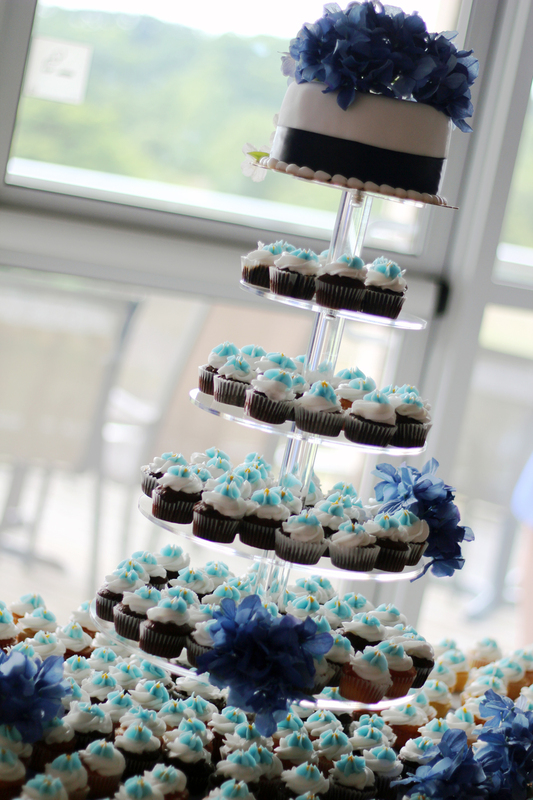 Instead of a multi-layer cake, there was the top tier and then a whole bunch of yummy mini cupcakes. Your hair is SO long - I love it!! Love your shots of the food as well, looks delicious. Haha love the heart over the face.. your dress is beautiful hun!! that dress is adorable!! love it! 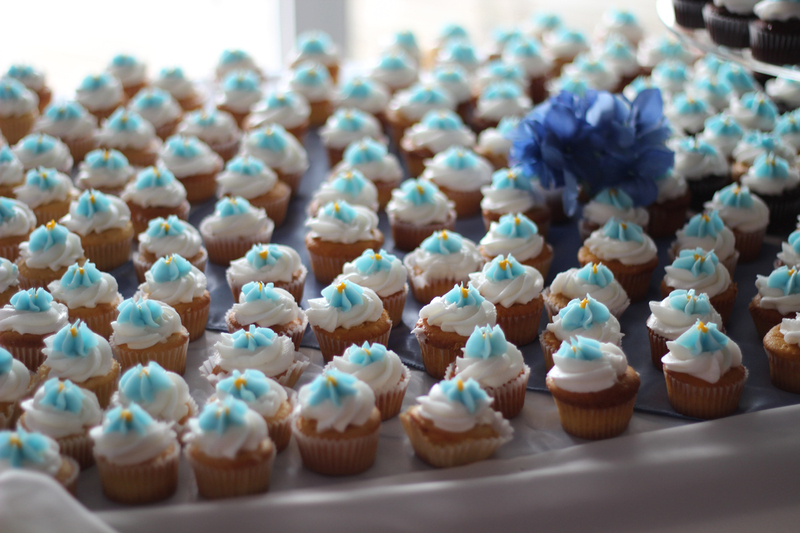 and those cupcakes look sooo yummy! !